God wants us to be a friend and one thing friends do is give each other high fives! Use the giant paper hand your child colored this weekend to reinforce the concept that God Wants Me to be a Friend! 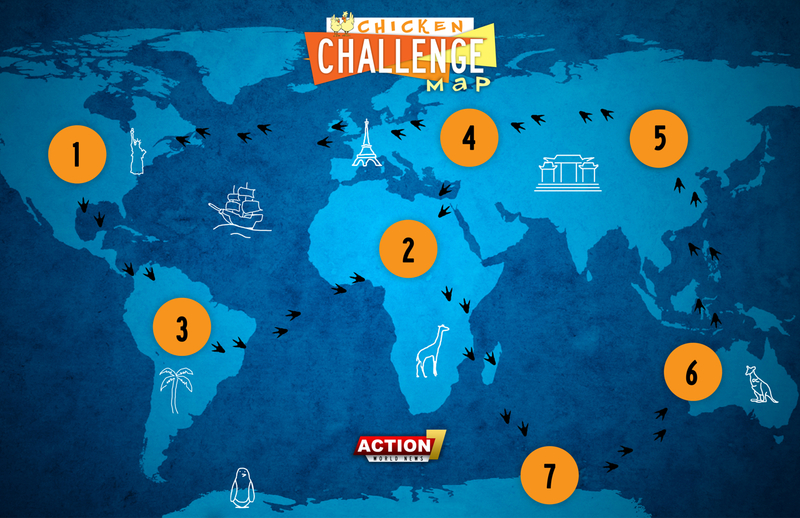 We have one week left in the “Chicken Challenge!” If your child has brought an offering to Quest over the past four weekends, their generosity will be used to send baby chickens to Africa! These chickens will provide nutrition and income to bless a family in need. We celebrate the opportunity to give an offering in Quest, and would love for your child to be apart of making an impact on the other side of the world. We will conclude the “Chicken Challenge” during the Easter worship experiences this upcoming weekend! Monthly Virtue: Humility – Putting others before yourself. Lesson Overview: This month in Motion we have been learning about humility, putting others before yourself, and how we can show humility to others. One way to show humility is by volunteering our time to help those in need. This weekend in Motion, all Motion kids were able to partner with Samaritan’s Feet, one of Elevation Church’s 26 local and global outreach partners, to make a difference in the lives of children around the world. All kids left Motion with a bright orange shoelace, and were asked to replace the orange shoelace for a lace in one of their shoes to serve as a reminder about the work they did today and what it means to have humility and serve others. Ask your child about their shoelace and what he or she did in Motion! What job did he or she have . . . sorting shoes or writing shoe sizes or writing a card to put in each pair of shoes? How do you think the kids will feel when they receive the shoes? How will the shoes they prepared help kids around the world? Why is it important to help kids who don’t have shoes? THANK YOU to the Motion kids and volunteers for all your hard work this weekend partnering with Samaritan’s Feet. You served a total of 692 hours this weekend and processed 2000 pairs of shoes! Your generosity is making an impact in this city and throughout the world!